Not really time to relax but my latest robot sure looks like he’s taking it easy. 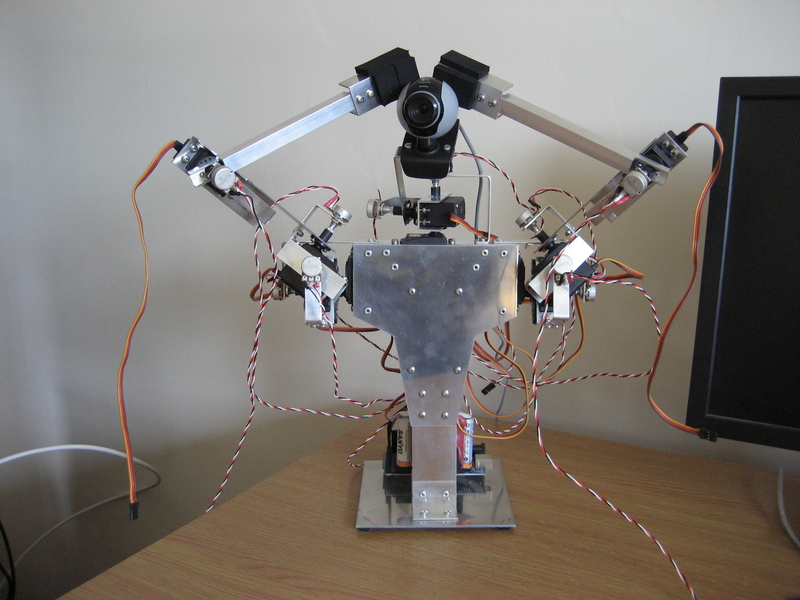 Both arms are complete as are all of the potentiometer mounts. Testing has started and I have most of the software from my previous project working with the new unit. Now to tidy up all of the wires! I have to shorten some of the potentiometer wires as they were taken off of my previous robot and this one is slightly smaller. I also need to route all of the potentiometer and servo wires to hide them a bit. I should have waited until this was done to post a picture but I couldn’t resist showing everyone the robot with both its arms. A video will be on its way soon so watch this space!